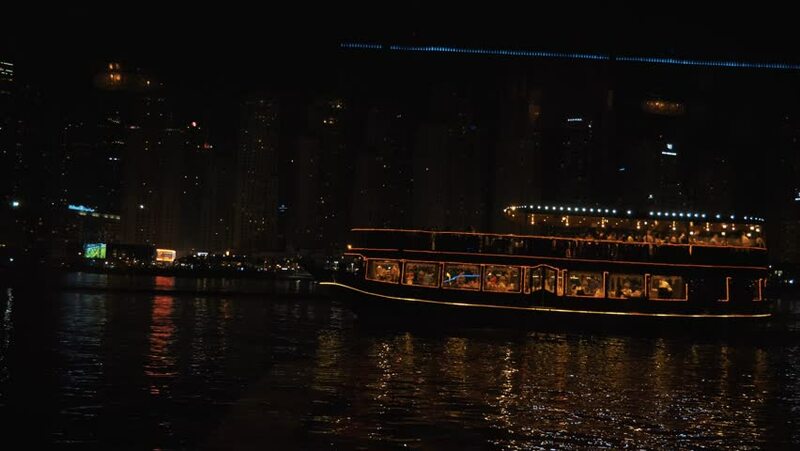 Dubai Dhow Cruise boat looking beautiful at night with lights, in slow-motion. Ites from the right to the left. 4k00:30MIAMI, FLORIDA, USA. MARCH 03, 2016: Cruise ship arrive to Miami cruise terminal. 4K video. For editorial use only.